A teacher and students at the TeacHaiti School of Hope. It started with the 2010 earthquake in Port-au-Prince, Haiti. Nearly a million people were made homeless in seconds. Hundreds of thousands died. So many buildings and lives destroyed – hospitals, homes, schools. An enormous human tragedy. Family friends in country gave us a first-hand view of the carnage. The human cost. Our hearts stirred. And a dream was born. We believe that education is the key to empowerment, to building – and rebuilding – hope and a future. TeacHaiti is an organization that believes that, too. Shortly after the earthquake, we partnered with TeacHaiti’s founder, Miquette Denie. The goal: to help educate children and sow hope for future generations. Today, we donate our services and financially support many children’s education through TeacHaiti. But it’s not enough. We’re called to do more. The Shinobi Group performs extensive pro bono work for organizations, grant-funded programs and non-profits focused on social justice and positive world change, with an emphasis in education, STEM, and empowering women in leadership. 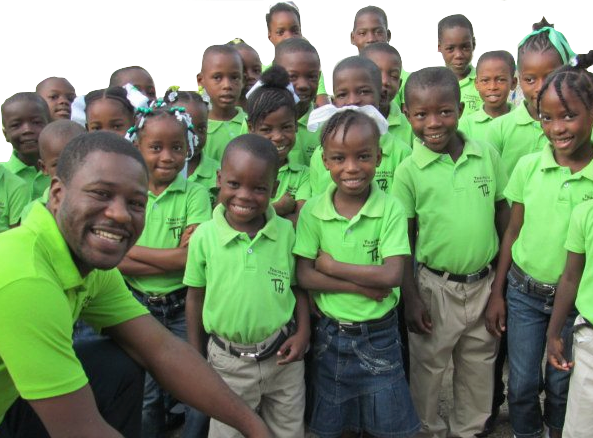 Additionally, we donate services and a portion of revenues to support TeacHaiti and the TeacHaiti School of Hope (in and around Port-au-Prince, Haiti) and other programs that educate children, sow hope and foster empowerment in the DFW Metroplex and around the world. The Shinobi Group was born of the calling to give on an entirely different scale. As we help clients transform and succeed, we’re also helping both local and global communities transform through education and empowerment.